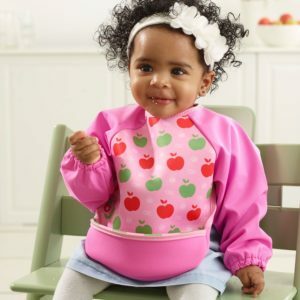 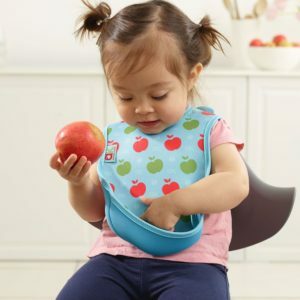 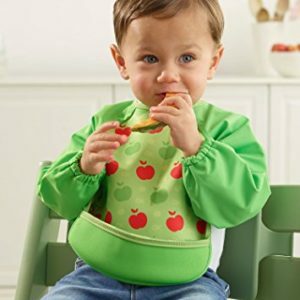 Annabel Karmel has collaborated with Bibetta to create a beautiful new range of feeding bibs featuring the iconic Annabel Karmel logo in the fresh and cheerful looking apples print design. 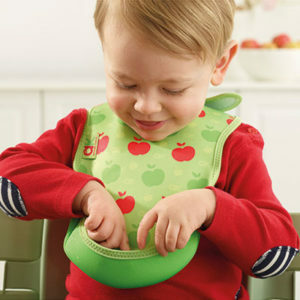 Bibetta’s award-winning UltraBibs™ are made with neoprene, the same waterproof material that wetsuits are made of. 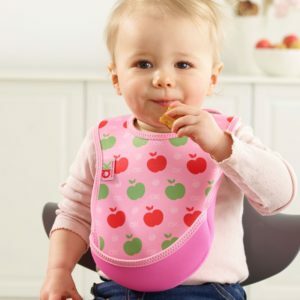 They are soft, stretchy, super comfortable to wear and have a springy, pelican-style pocket that folds out, making them ideal for baby led weaning. 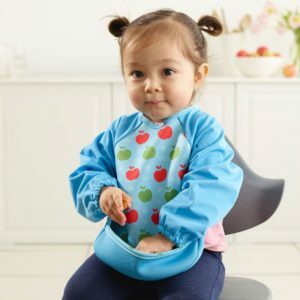 The Bibs with Sleeves have soft, high quality, 100% waterproof sleeves and a neoprene body for excellent comfort and all-over protection; remove the bib and remove the mess!